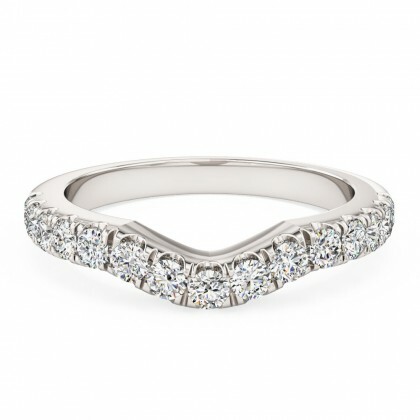 Wishbone wedding rings are uniquely crafted to ensure the perfect fit between your existing engagement ring and your wedding ring. Incorporating a small curvature into the design of the band, our collection of rings is intricately made to complement your existing ring. By sitting flush alongside your engagement ring, you will see the perfect harmony of your past and your future with your ring choices. 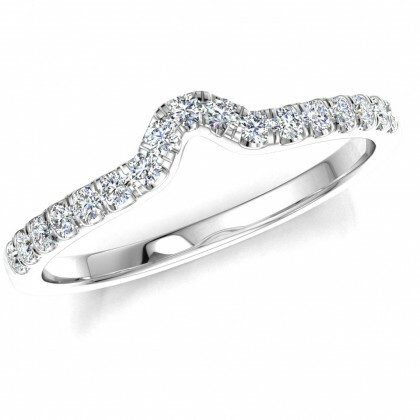 Whether you’re looking for channel set or claw set diamonds, our collection of wishbone rings has been designed with our engagement rings in mind so that we can guarantee we can provide the dream ring for you. Wishbone wedding rings are uniquely crafted to ensure the perfect fit between your existing engagement ring and your wedding ring. Incorporating a small curvature into the design of the band, our collection of rings is intricately made to complement your existing ring.